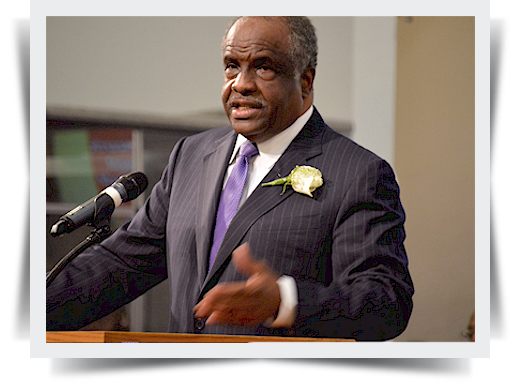 Dr. Willie Richardson is the Founder and Senior Pastor of Christian Stronghold Church in Philadelphia, Pennsylvania, which he planted in 1966 starting with six people. Currently, there is an active membership of over 4,400 people. He is a graduate of Philadelphia Biblical University with a Degree in Bible and has taken graduate studies at Temple University. He received his Doctorate of Divinity Degree from Geneva College. He is the president of Christian Research & Development (CRD) of Philadelphia, an organization established by him and his wife, Patricia, in 1975. CRD is one of the leading companies specializing in black family research and development resources. The main objective of CRD is to research needs and methods, and to develop materials on "Biblical How To's" for the church, specializing in family ministry and church development through seminars, conferences, retreats, and workshops. CRD is a consulting agency to churches, foundations, businesses, and educational institutions. Dr. Richardson has a commitment to developing effective pastoral leadership and has done so successfully with over 200 pastors nationally. Under his ministry, CRD is conducting seminars throughout the United States entitled “Developing the Christian Single and Family Life”. As a Professor, with emphasis on techniques and training, his contributions included “how to manuals”, resource books on the family, as well as video and audio training tools. "Dr. Richardson has written articles for various Christian magazines and is the co-author of two books entitled, “The Black Family, Past, Present and Future", (published by Zondervan 1991 and Discipling The City (published by Baker in November, 1992). 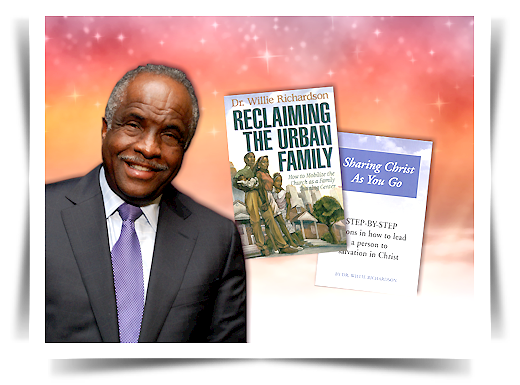 Dr. Richardson is an author, and his latest two national sellers are entitled Reclaiming the Urban Family (published by Zondervan) and Sharing Christ As You Go (published by Christian Research & Development). He is the co-author and editor of Counseling For Seemingly Impossible Problems. He has served as a Professor at the Center for Urban Theological Studies (CUTS), Westminster Theological Seminary, Philadelphia Biblical University extension, and Christian Research & Development Institute. He has served as an Adjunct Professor at Messiah College. He has written courses for both the Center for Urban Theological Studies and CRD Training Institute. He is the Co-Founder and Executive Director of the former Inner City Impact Institute which is an organization that is a catalyst for getting foundations and corporations to partnership with inner city churches in community outreach programs. He was the Founder and President of Resources for Better Families, an organization that trains churches on how to minister to the families within their churches and as a community outreach. Born in Florence, South Carolina, Dr. Richardson has lived in Philadelphia, Pennsylvania since he was six years old. He and his wife, Patricia, have been married for 48 years and are the proud parents of four children. Chairman of the Board of E.K Bailey Ministries of Dallas, Texas. serviceDr. Richardson has received both local and national recognition by both church and para church organizations. 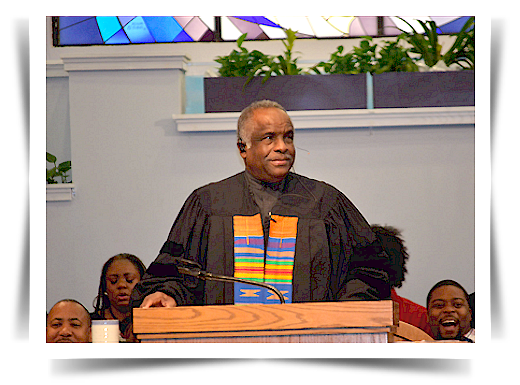 His God given talents, training and technology has resulted in local and national recognition with contributions to both urban and suburban communities and churches. Some of his contributions include church growth and management, counseling centers, clergy training, financial seminars, training seminars, community development strategies, the single parenting seminars, male responsibilities seminars, strategic planning training, cross-cultural skills, development and church planting strategies, giving guidance on church discipline problems, and advice to congregations choosing a pastor. He has also been invited to the White House on three different occasions by former Presidents Ronald Reagan, George W.H. Bush and George W. Bush, who introduced his Faith Base Initiative, January 2001. I now have a better understanding of myself as a single Christian woman and how to help others as a counselor. The material got to the core of our shortcomings with God and our ongoing struggles with sin and addictions. It also showed us how to step by step reverse the state we’re in and get back on track and in fellowship with God and experience spiritual growth. BC-1 helped me to grow in my Christian experience, His Word and love in a new way.